ANKOM - Automation Made Simple. 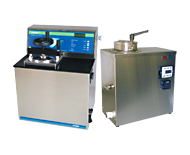 Since 1986 ANKOM Technology has been Helping to Feed the World with Innovative Analytical Instruments. 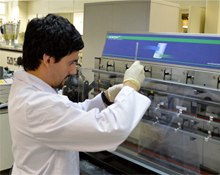 An American company, ANKOM Technology Corporation has a reputation for quality and innovation. 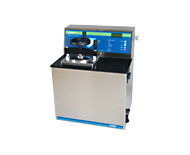 Constantly seeking to develop better methods for time consuming analytical methods ANKOM Technology focuses on customer needs. 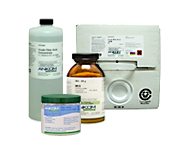 We offer equipment, instruments, chemicals and other ancillary products to support fiber studies, accelerated solvent, crude and total fat extractions, in vitro and in situ research, anaerobic digestion and more. We work hard to minimize costs and maximize quality. 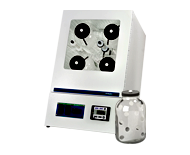 There are laboratories in over 120 countries that rely on ANKOM products to reduce costs and increase accuracy and precision. Please consider registering on our site so we can assure you are up-to-date on any special programs or discounts. 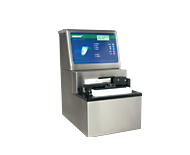 ANKOM Technology developed Filter Bag Technology (FBT) to provide a state of the art, low cost, high volume alternative system for determining conventional fiber analysis. 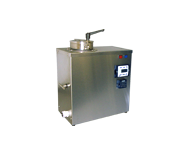 Unlike most conventional methods, FBT allows for batch extraction and precise control. 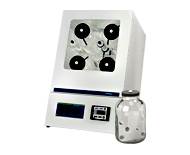 ANKOM has advanced products for fat analysis that can rapidly perform extractions using solvents such as, Petroleum Ether, Hexane, or Ethyl Ether to mention a few. 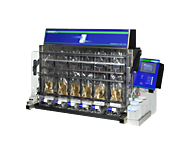 ANKOM has developed the only fully automated instrument for Dietary Fiber available on the market today. ​Keep an eye out for more updates to our 2019 schedule and view past webinars on demand or check out our YouTube channel. 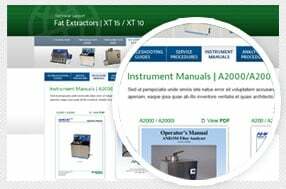 We have turned our sights on fat soluble vitamin extraction for measuring vitamins A, E, and D. Take just a few minutes to answer some questions about your experiences. Click this link to provide your input and to get on the update list. 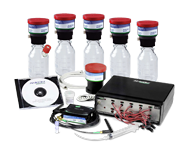 Version 11.4 for the GPM software is now available for the RF Gas Production System. This software will allow you to expand the number of systems that you can run in one location along with many other helpful enhancements. Click here for more information. 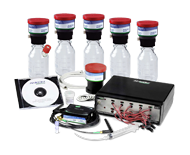 The ANKOM Dietary Fiber Analyzer creates a new standard for nutritional labeling, quality control, and research. 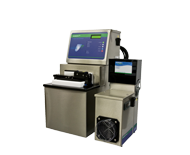 By automating one of the most tedious analytical methods, the ANKOM analyzer reduces labor and per sample costs, while increasing accuracy and precision. 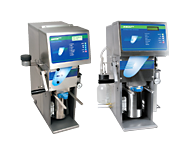 Advanced Filter Bag Technology increases filtering surface area which reduces the time needed to filter samples and eliminates the use of vacuum flasks and crucibles. Recognized as a Center of Excellence for Nutrition, the Eurofins Nutrition Analysis Center in Des Moines, IA specializes in analyzing feed, commodities, pet food, food and dietary supplements for lipids, proximates, vitamins and minerals. Eurofins Nutrition Analysis Center is one of only 13 Official Referee laboratories for soybean meal and oil certified by the AOCS and NOPA. 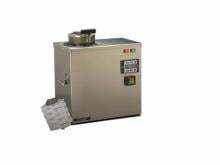 It is an USDA inspected laboratory. The mission of Animal Production and Protection Department at Hebron University is to create and maintain extension, research and comprehensive teaching programs in animal production and protection. Developing nutritional plans for ruminants presents a number of challenges which requires a precise and accurate means to evalute various feeds and forages. Add to that the geo-political realities of working in the West Bank and sourcing qulaity products can somethimes be a challenge. 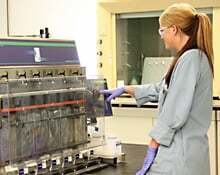 Because traditional equipment was proving to be time consuming and inefficient, KISR’s technicians were dedicating far too much of their time to preparation, incubation, filtration and analysis of samples." 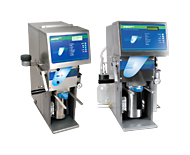 By adding the ANKOM TDF Dietary Fiber Analyzers, XT15 Extractors and the ANKOM 200 and 2000 Fiber Analyzers, EPL has increased sample volume by as much as 900% and is analyzing up to 90 dietary fiber samples and 220 samples for fat analysis per day. 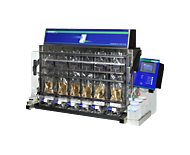 Limited bench space and a traditional multi-step, multi-chemical, labor intensive process for CF analyses was limiting Dairy One's ability to increase capacity and reduce labor.